Brand Tory Burch has always remained true to its original philosophy-even while experiencing significant growth in recent years. By emphasizing innovation, originality, quality and value Tory Burch has refined its vision to earn worldwide recognition. Contemporary optical design, unparallel craftsmanship, outstanding warranty, and superior customer care defines Tory Burch. Tory Burch has made the ascent from humble beginnings-a boutique optical design company-to its present position: a worldwide leader in affordable luxury eyewear. 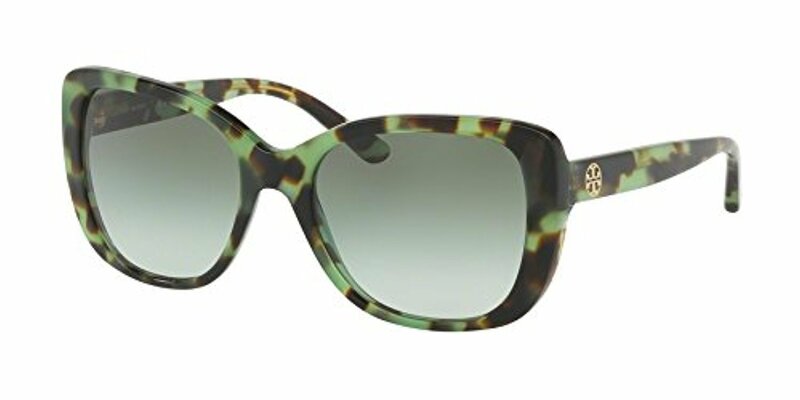 Tory Burch uses state-of-the-art materials to craft their signature eyewear frames: premium cellulose acetate, ultra-lightweight titanium, and color-rich stainless steel. Tory Burch lenses are constructed from impact-resistant prescription material and provide 100% UV protection. They're also scratch-resistant and coated with superhydrophobic and anti-reflective treatments at no additional cost. From the earliest design conversations, sophisticated eyewear brands such as Tory Burch develops innovative designs that feature layers of depth through the finest materials in optical. This commitment to craftsmanship delivers unmatched quality and timeless style that transform glasses from pure function to coveted pieces.